For nearly two years now, a county task force charged with figuring out what the hell to do with the troubled Mitchell Park Conservatory Domes has been desperately trying to figure out what the hell to do with the troubled Mitchell Park Conservatory Domes. Now, with the future of the conical Milwaukee horticultural wonders hanging in the balance, the task force has come up with eight options—a few of which involve installing a totally sweet zipline in the Show Dome oh hell yeah. Okay, so the “Do Nothing” and “Demolish Domes” options seem pretty self-expla…Did someone say ADVENTURE DOME DESTINATION ATTRACTION and HYBRID REDEVELOPMENT ADVENTURE DOME DESTINATION ATTRACTION? WHAAAAA?! Will Milwaukee County taxpayers be interested in shelling out up to $95 million to turn the safe and staid Show Dome—usually home to flower displays and model train demos—into a glorified American Ninja Warrior training ground? Probably not. 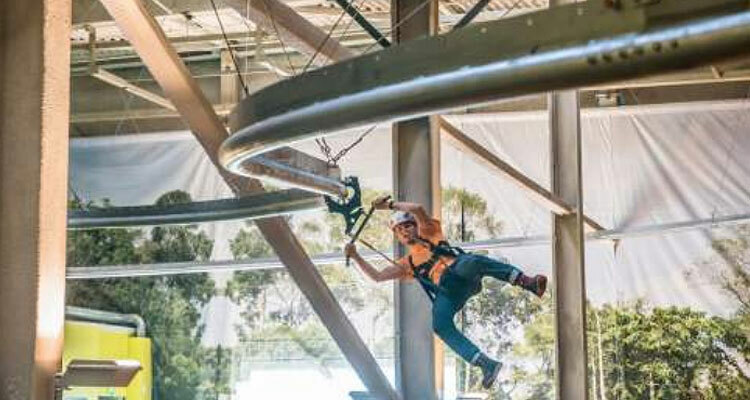 Would it be totally awesome to fly around one of the Domes on a zipline? LET’S BUCKLE UP, DO THE DEW, AND THINK BIG, MILWAUKEE.